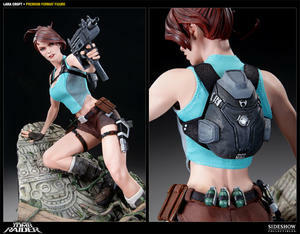 Sideshow Collectibles and Adam Hughes are proud to bring you the Lara Croft Premium Format Figure, depicting the legendary Tomb Raider heroin from the game Lara Croft and the Guardian of Light. Cast in high-quality polystone and dressed in a detailed real fabric costume, this outstanding figure is taken directly from designs by renowned artist Adam Hughes, whose critically acclaimed realistic illustration meets pin-up style art has made him a sought after artist and perennial fan favorite. Each piece is hand-painted and finished, each with its own unique quality and detail that is the trademark of a handcrafted Sideshow Collectibles product. 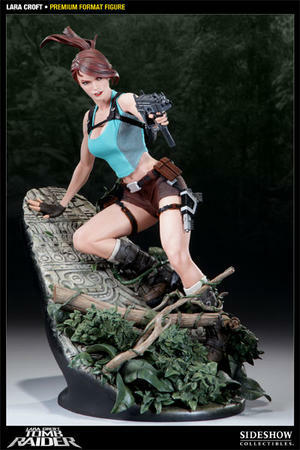 The Lara Croft Premium Format Figure is the perfect addition to any collection.